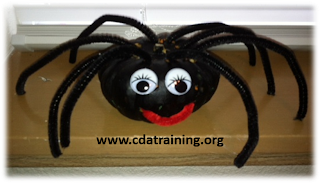 Child Care Basics Resource Blog: Let's Make a Pumpkin Spider! Let’s make a Pumpkin Spider! 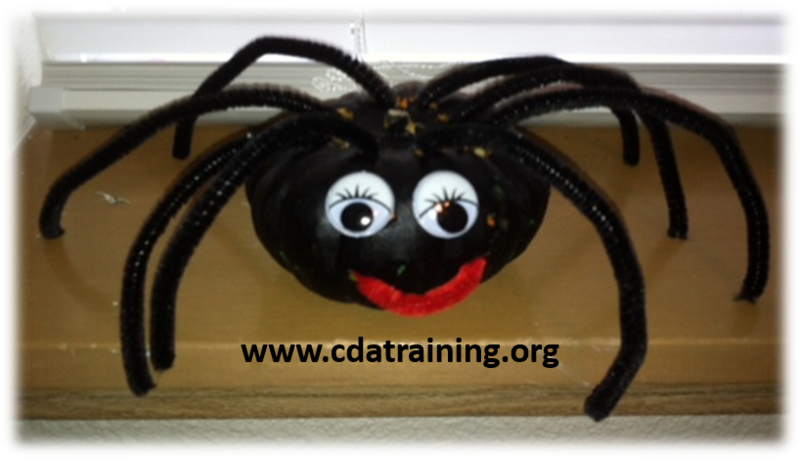 Materials needed: small pumpkin, black paint or marker, black pipe cleaners, wiggly eyes and scissors. Let the children paint the small pumpkin black. Poke 8 small holes in the top of the pumpkin. Have the children push one end of each pipe cleaner into a hole. You can use a piece of pipe cleaner for a mouth. Cut a small piece and poke the ends into the pumpkin.